Green tape is to fix pre-laminated glass and to prevent melting EVA, PVB, SGP interlayer film overflowing out of laminating glass edges in the oven. 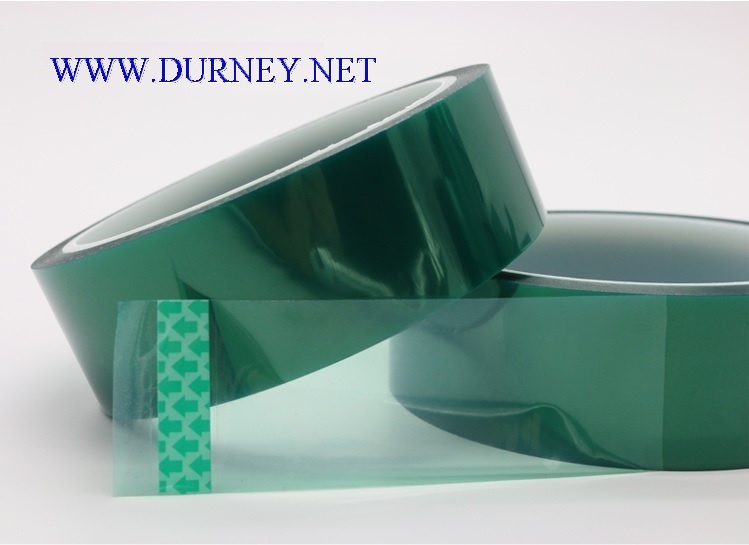 GREEN TAPE is to perfectly prevent the melt EVA FILM overflowing through laminated glass edges in the oven when heating(the GREEN TAPE is high temperature resistance). What is the specifications of the GREEN TAPE? If we use the GREEN TAPE to seal the edges of pre-laminated glass to prevent the exit out of the EVA in the glass laminating oven, will the GREEN TAPE prevent the de-airing vacuuming? Do we need to make some holes on the GREEN TAPE for vacuuming the air out? It depends. If you don’t make holes on the GREEN TAPE, and you make EVA laminated glass successfully without bubbles, then you don’t need to make holes on the GREEN TAPE, so you can get the cleaner result of the edges of the final laminated glass. But if you don’t make holes on the GREEN TPAE, and you face bubbles in the corners or edges of the laminated glass, then it’s better you make some holes on the GREEN TAPE to help pre-laminated glass de-airing vacuuming. Does the GREEN TPAE leave glues on the glass? NO! No remains of GREEN TAPE left on glass surface after peeling off. GREEN TPAE can stand continuously heating more than 180℃with strong tear resistance. Nastri in poliestere trasparente con adesivo siliconico studiati per applicazioni che richiedono resistenza a temperature elevate (200°C). - Permet de limiter le fluage des films intercalaires. - Protège la poche à vide et/ou le manteau silicone de toute pollution. - Favorise un bord propre.